I grew up in the suburbs of Minneapolis, MN back in the 60s and 70s. My world was very Ozzie and Harriet and if I look back at it, I was pretty idyllic. Growing up in Minnesota, the first hints of Spring are greatly anticipated after so long of a harsh winter. Easter never had the hype of Christmas or Thanksgiving and somehow was a little more low-key except for the Easter Bunny and the candy and the promise of a new Sunday Easter outfit. Even though we lived in the suburbs, we still travelled into the city to attend church. 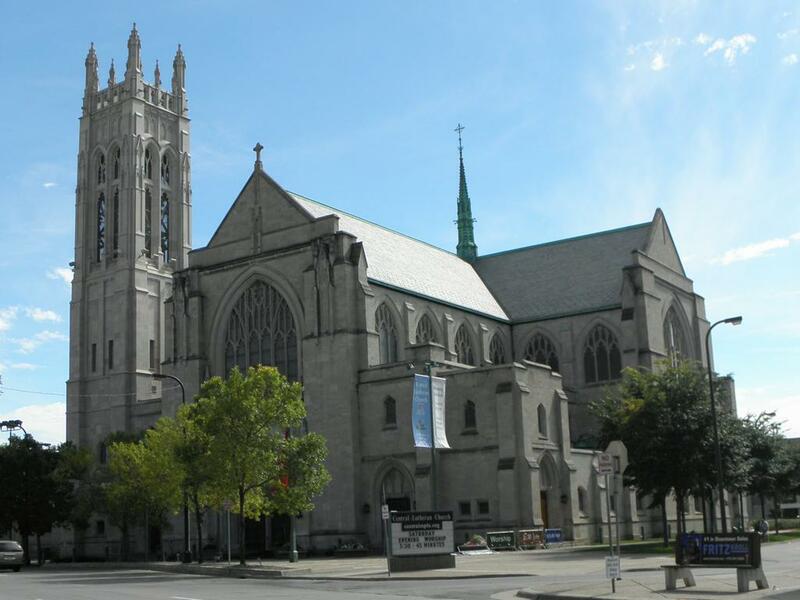 We were members of a grand church built in the 1920s, the kind of which aren’t constructed anymore. Even though it was in the heart of downtown, it always had a very low-key family atmosphere about it. My family was pretty active in the church, my sisters and I were involved with choir and bible study and I was confirmed in the church in 8th grade. Even going to confirmation class wasn’t all that bad because two blocks away from the church was a Wonder Bread factory that had a little store with slightly damaged goods in it. As a kid, you could pick up a Hostess Apple Pie, Cupcake and SnowBall for 25 cents…and they were still warm from just coming off of the factory line! Easter actually kicked off with Good Friday. Our church had a three-hour service that involved multiple sermons based on the last words spoken by Christ. As a child, my parents never took us for the full three hours, but instead we typically would end up hearing the last two sermons. At the end of the last sermon, a soloist would sing a capella, “Where You There When They Crucified My Lord”. And as this was being sung, the two-story tall brass cross behind the altar at the front of the church was slowly covered in a black veil. The church was always so quiet and it was incredibly somber. I’ll never forget year after year, the older widowed women sitting together would start quietly sobbing. After the soloist finished, the cross was fully covered and only a black drape covered the front of the church. The choir would then start their march out of the church. No music, no noise, only the in step sound of their shoes on the stone floor. It’s surprising how dramatic that service was and I still get chills thinking about how simple yet powerful that service was designed. Picture the sanctuary filled with hundreds of lilies! As I mentioned earlier, all three of us kids were in choir. I being the youngest, was in the Cherub choir, my older sisters were in the High School choir, but in all, there were 3 choirs that were to sing on Easter morning for the Sunrise Service. This meant that we had to get up by 4:30am to make sure that we were at the church and ready to go for the 6am service. Of course, I would want to find my Easter basket, but there never was time for that on those mornings. The Sunrise Service would begin at 6am sharp. It was still dark outside and all of the choir members would line up to march into the church in just the same manner as they walked out on Good Friday. The only difference this time is that you could smell the lilies. Hundreds of lilies were placed throughout the sanctuary and the smell was incredible. So off we march to our respective places and soon as everyone is set, the grand organ plays what sounds like horns and the lights go up and the black veil at the front of the church quickly drops to the ground and the choirs and congregation sing out with “Jesus Christ is Risen Today.” What was dark and somber became instantaneously glorious with smiling people along with the sanctuary awash with the white lilies. Again, for a child it seemed magical and I can only hope that it is one tradition that the church still practices because I’m sure it’s just as dramatic to experience as an adult. Yes, it looks tacky now, but as a kid this place was special! After the sunrise service, the choirs were expected to sing at the 9am service as well. 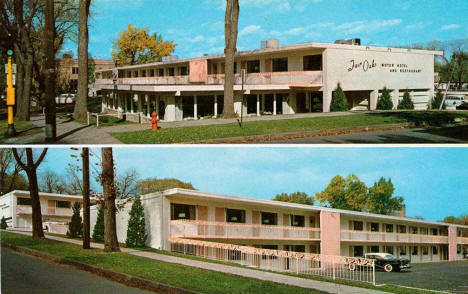 As a special treat, this meant that we would go for breakfast with our church friends the Johnson’s between the two services and always at the Fair Oaks Motor Lodge restaurant. As a family we rarely went out to eat, and for me this was big time fun. After the 9am service it was time to head home to look for our baskets. I think my sisters were old enough so theirs would be sitting on the couch whereas I had to go and hunt mine out which was always fun. Every other year, we would host our aunts and uncles and cousins for Easter supper which meant ham, lamb, scalloped potatoes and other good midwestern fair. Plus, company meant that the good olives and appetizers were put out which I constantly tried to sneak off the table. From reading this you would think that I was extremely religious. Not so. I can’t tell you the last time that I attended church. 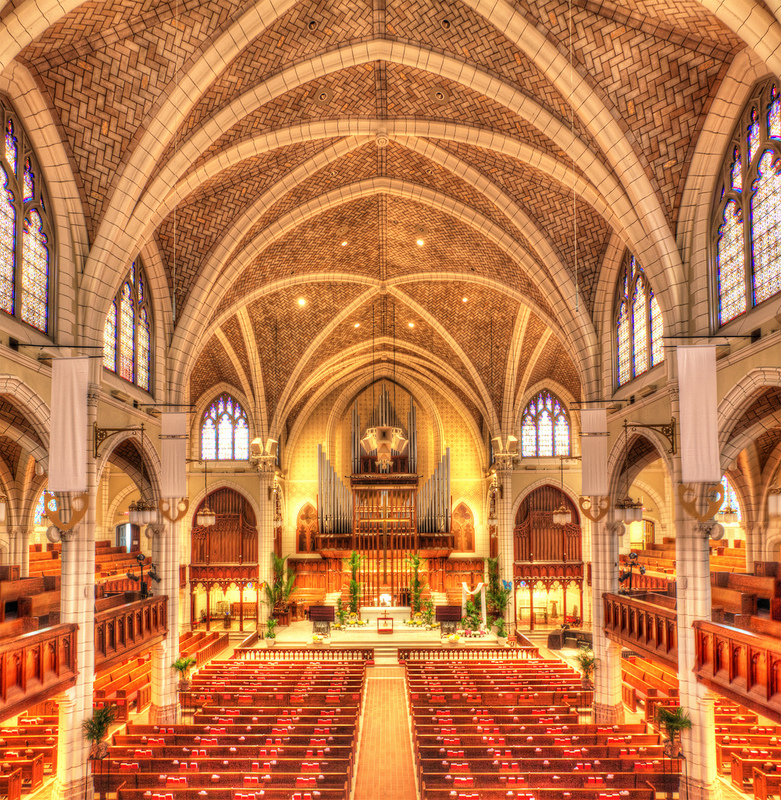 But I have to admit that I have many fond memories of growing up with such a majestic and theatrical traditional church setting and I sometime miss the pomp and circumstance that surrounded attending such a place. It’s nice to be able to look back and still get warm fuzzies from such happy times. So what does this post have to do with perfume? 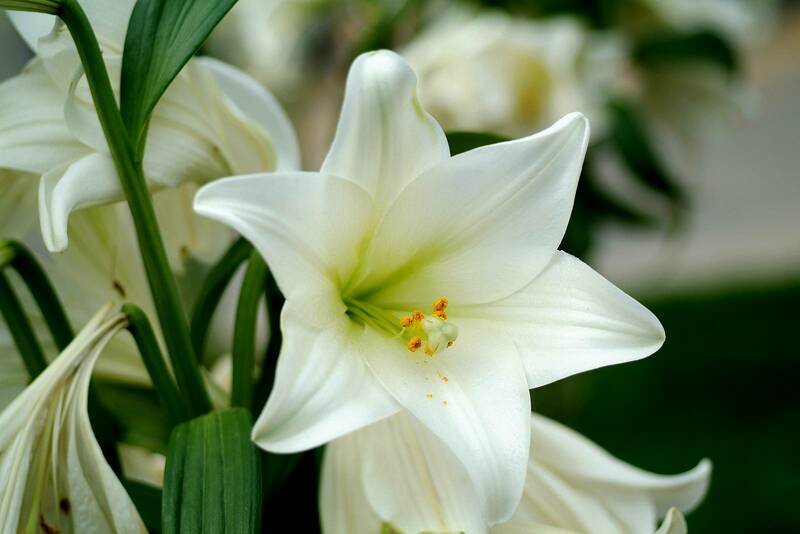 Nothing really, except that the smell of lilies can take me back to those Easters of long ago. Categories: Uncategorized | Tags: Central Lutheran Church, Easter, Minneapolis | Permalink. Thank you. I hope you and yours have a lovely Easter (that’s if you celebrate Easter)! I love this post, Houndie! My Easters of “yesteryears” were not as elaborate as yours but I have fond memories of my grandmother hosting an Easter egg hunt every year for as long as I can remember. She loved to garden and hiding the eggs and treats for us to discover was one of the ways she shared her love for all things natural and beautiful. I also like to think that she loved the sound of her grandchildren’s laughter and shouts of victory as 20+pairs of feet scampered around her world. Hajusuuri – The Easter egg hunt is something that I never really got to do because it was usually still wet and mush outside from all of the snow, if the snow had even melted by that time. But I thought it always looked like such big fun. That was sweet of your grandmother to do that for you kids! What an absolutely compelling and evocative read. Simply beautiful. I sat with my mug o’tea and scone and simply devoured every word. Thank you. Thanks so much Sally. I hope you had a wonderful Easter. Steve, I loved your story! I almost regret that, having grown up in a completely atheistic country, I’ve never experienced anything like that… Well, if not to count some ideologically-charged events that were our replacement for religious ceremonies, I guess. Happy Easter! Are you going to wear any lily-centric perfume this Sunday? Thanks U – I don’t have any lily centric perfumes in my collection, but I ended up wearing Caron’s French Cancan which sounds rather sacrilegious, but I find it to be upbeat and pretty and joyous. So I guess that fits the bill rather nicely! I remember those marathon church services on Easter week. Holy Saturday was the one I dreaded. That sucker was looong. There had to be a dozen readings among other things. As a kid it was the worst thing to have to sit through. I loved the incense parts though. We Lutherans never even got any incense, just the sermons and readings. That’s why my parents never made us sit through the whole three hour service. But even then it was hard. When we were in the choir section, everyone in the congregation could see us. If we started fooling around, the looks our parents would give us could cut ice! I know that look. Mom always made me sit up front with her and if I wasn’t paying attention I’d get a discreet slap on the leg. Sorry you didn’t get the incense. Beautiful post! I have memories of church and new Easter outfits and my Grandmother’s big bed of tulips blooming. Thanks for sharing your memories. Now that sounds like a warm fuzzy memory! Thanks Katherine. I hope you had a lovely Easter. How wonderfully touching and exquisitely recalled. Easter does seem such an apt time for reflection, doesn’t it? Thank you Mr. Dandy. Easter is a good time for reflection…especially when you have such nice memories of the holiday. It always signaled the beginning of a bright new Spring and Summer. I was totally immersed in the description of Easter past. It bears some similarity to my own. Thanks for an enjoyable read. Cynthia, thanks for the nice comment. It was nice having those warm memories come flooding back before Easter. Sometime you just miss being a kid and the wonder of the world around you. Thanks for stopping by.